Christian Michel was arrested by the ED on December 22 and sent to a seven-day custody of the agency over money-laundering charges in the scam. A Delhi court today sent alleged middleman Christian Michel, arrested in the AgustaWestland VVIP chopper case, to judicial custody. Michel was produced before Special Judge Arvind Kumar and the Enforcement Directorate (ED) sought his judicial custody in connection with its probe into a money-laundering case. In the ED case, the court sent him to judicial custody till February 26 and in the CBI case, till February 27. Michel, who was extradited from Dubai recently, was arrested by the ED on December 22 and sent to a seven-day custody of the agency by a court. He was earlier lodged in the Tihar Jail in Delhi in a related CBI case. The ED, through special public prosecutors DP Singh and NK Matta, told the court that the probe has been "fruitful" till now. "We have investigated how cash was transferred through ''hawala'' and multiple bank accounts. We have found information about other defence deals. We need to investigate the money flowing there as well. We have documents to show that they misled the Italian court," it said. 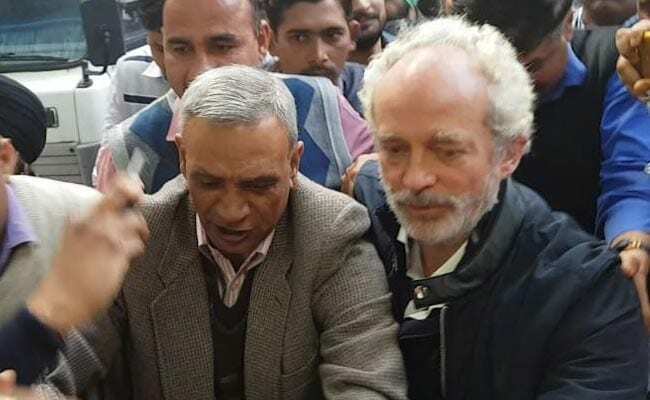 "We also need to decipher who the 'big man' referred to as 'R' is in the communication between Christian Michel and other people," the agency told the court. The ED sought that Michel be barred from meeting his lawyers in custody, alleging that he was being tutored from outside through his lawyers. During his medical examination, the accused handed over a folded paper to his lawyer, Aljo K Joseph, and it was noticed by the ED officials. After the perusal of the paper, it was revealed that it pertained to a set of follow-up questions on "Mrs Gandhi", the ED said. The agency told the court that it was clear that there was a conspiracy to shield or tamper with evidence that could be brought forth from the questioning of the accused. It said it has discovered fresh evidence relating to new entities used for laundering the proceeds of crime and that Michel's custodial interrogation was needed for confronting his Indian connections identified till date. His custody was required for "unearthing the deep-rooted conspiracy and identification of all his accomplices, including the IAF officials, MoD (Ministry of Defence) officials, bureaucrats and politicians who gained undue advantage for getting the contract in favour of AgustaWestland," the ED said in its application, adding that Michel remained evasive to certain questions during investigation. Michel is among the three alleged middlemen being probed in the case by the ED and the CBI. The others are Guido Haschke and Carlo Gerosa. The ED, in its remand application today, said the probe has revealed that Michel was the key middleman for AgustaWestland, pursuing the deal at different levels, and was instrumental in the circulation of sensitive information and eventual payment of kickbacks. The agency said it needed to determine the exact quantum of money laundered through the Media Exim Private Limited, the roles of the co-accused and unearth the proceeds of crime parked through this channel.